Roach Control - D & D Pest Control Co.
Cockroaches are a major infestation problem in Kinston, North Carolina homes and food service establishments. Cockroaches are prolific and populations can explode almost overnight. One German roach egg can hatch out more than 48 roaches – and in just 30 days will become adult laying eggs. Cockroaches are shy and nocturnal and will mostly at feed in the dark. When roaches are seen in the daytime this may be do to over population or stress. So, if you see one cockroach in the daytime, you could have a serious roach infestation already. Cockroaches are one of the toughest pests to treat on your own. Successful roach control involves prevention of entry, reduction of harborage sites, as well as removal of food and water resources as much as possible. Most Cockroaches invade homes from their natural habitat outside, with the exception of the German cockroaches. Here are the two main cockroach species the infest homes in the Kinston, North Carolina area. The American cockroaches prefers to live outdoors. They prefers damp, cool habitats, but they live outside, and usually enter home around plumbing pipes and foundation holes. The German cockroaches often live indoors near water sources, and live in cracks and crevices in kitchens and bathrooms. They are attracted to the warmth of running appliances like hot water heaters, refrigerator & freezers, stoves & ovens and dishwashers. The German roaches are usually brought by hitchicking inside boxes, bags and appliances. Our pest technicians are both the training and have first-hand experience to correctly identify and eradicating any Cockroach infestation. Properly identifying the Cockroach species is the first step in making your home or business roach free. 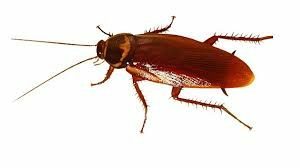 For professional cockroach extermination in the Kinston North Carolina area, call D & D Pest Control Co. at (252)523-8255 Or fill out a contact form for quick, effective cockroach eradication in Lenoir County North Carolina.